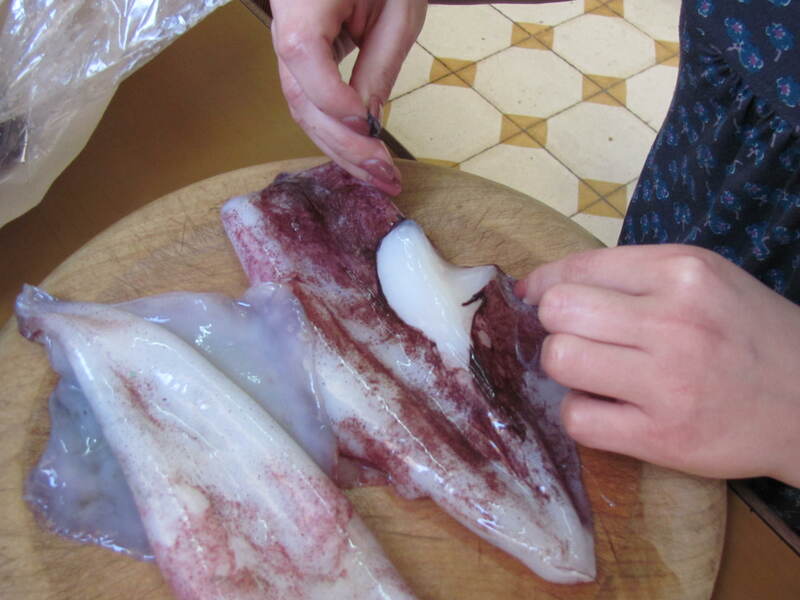 Needless to say, you should ideally obtain your calamari (squid) as fresh as possible from a trusted source. If possible have them cleaned for you to make your life easier when it comes to preparing them. If not, follow these instructions to clean them out; holding the body firmly, grasp the head and pull gently, twisting if necessary, to pull the head away from the body without breaking the ink sac. The internal body and tentacles will come with it. Set the heads and tentacles aside for now. If the ink sac breaks just rinse the body thoroughly under running water. At the top of the body, there is a clear piece of cartilage. It is like a long thin bone that will come out easily. Pull it out and discard. 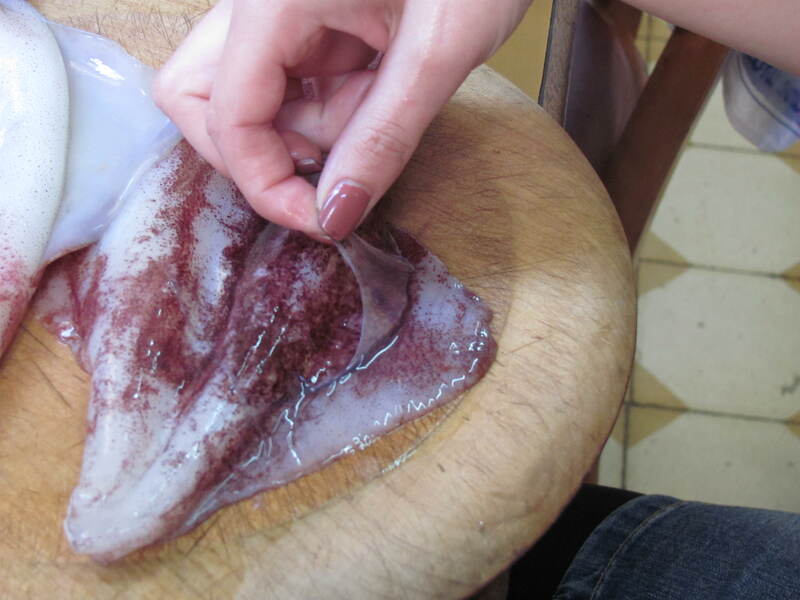 Next you will need to remove the membrane from the body of the squid. This will also come off easily especially aided by running water. At this point it is also a good idea to rinse out the tubes inside and out to remove any possible debris. 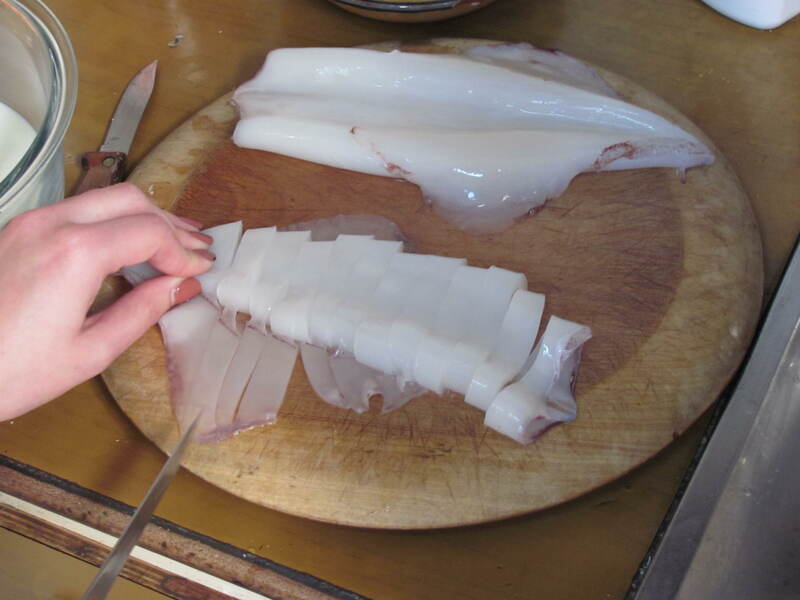 Cut the body into strips about 2cm wide or according to taste. You do not need to trim off the wings for this recipe. 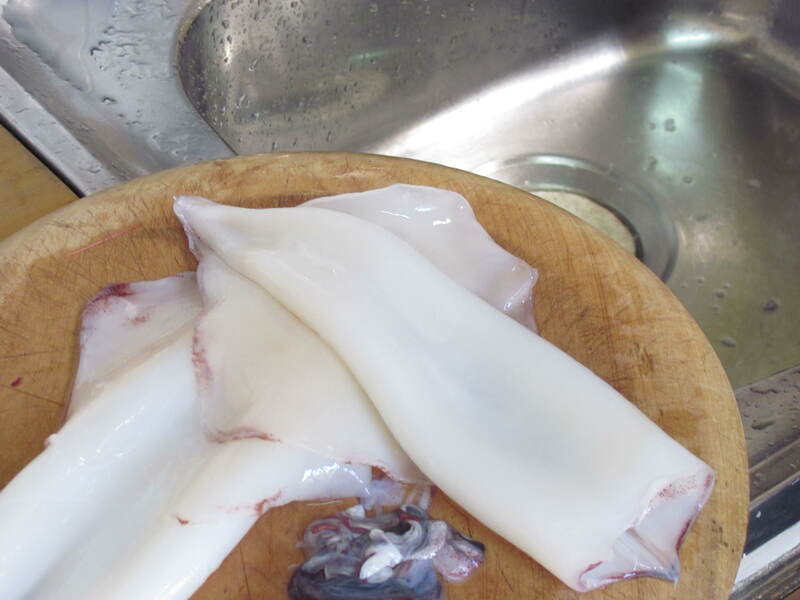 Now for the heads – cut off the tentacles just underneath the eyes and discard the top part of the head. Remove the beak from the centre of the head. This is like a tough cartilage ball. 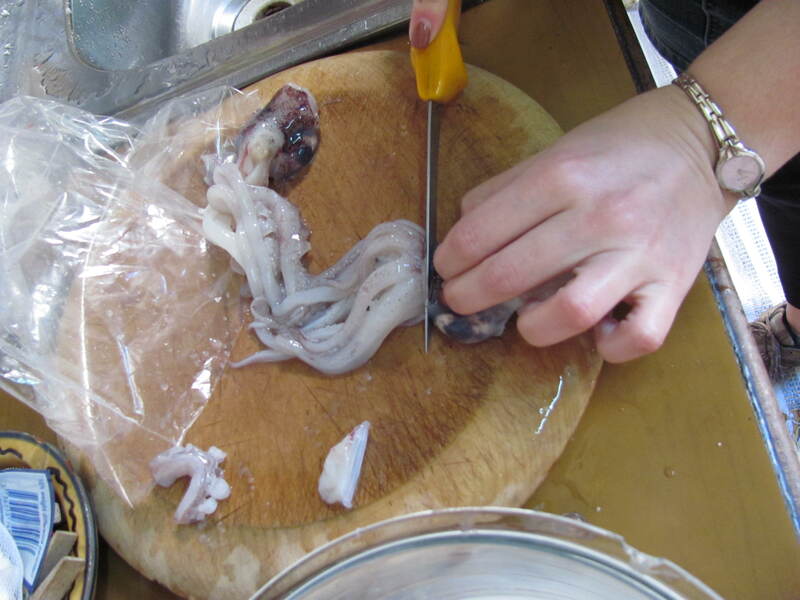 Chop the tentacles in half or into several parts if they are long. 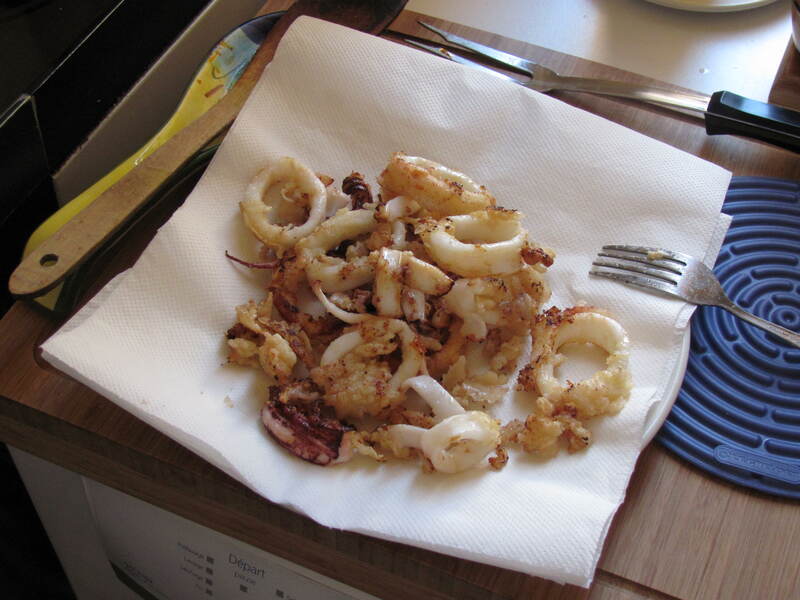 Soak all your calamari bits in a bowl of fresh milk for 20 minutes or more. 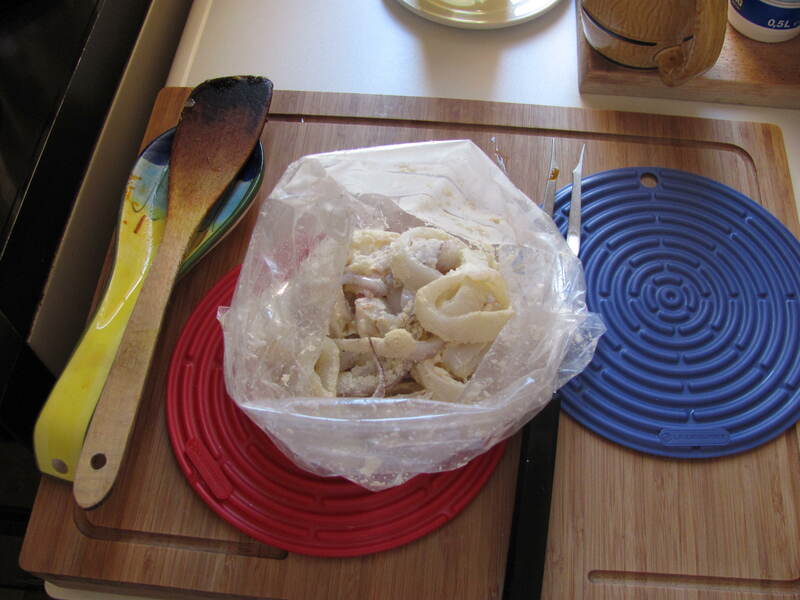 Fill a clean new plastic bag or freezer bag with about half a bag of semolina. 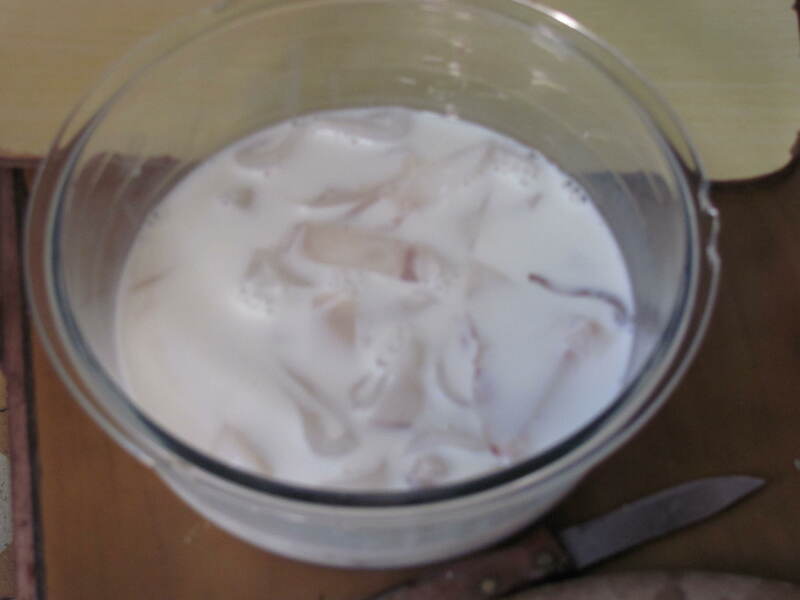 Drain the milk away from your calamari pieces and insert them into the bag. 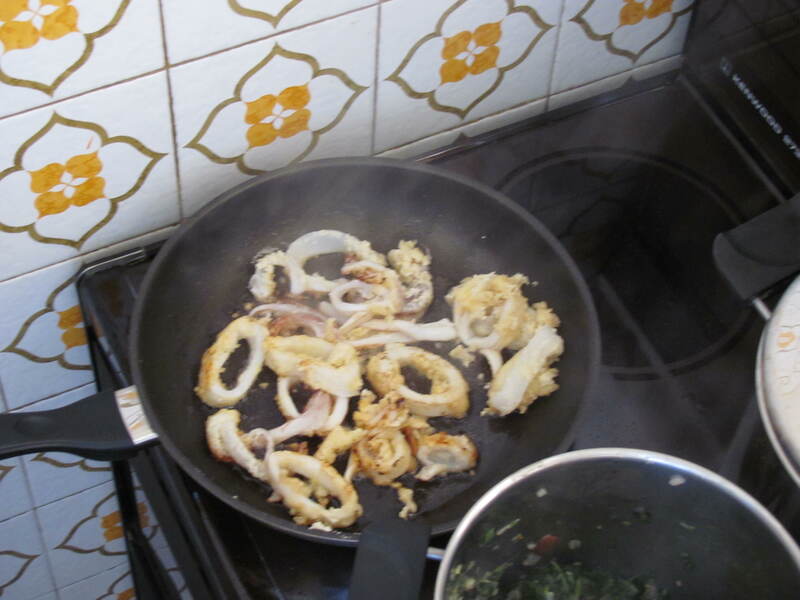 You may want to divide into portions before doing this so that the calamari are better coated. Heat up 2-3 tablespoons of olive oil in a pan. To test if the pan is hot enough, throw in a small piece of semolina and watch it form a puffy ball. If this doesn’t happen (e.g. the semolina scatters) then you will need to wait a while longer. Flip the rings over and cook until they start to brown. Drain the excess oil on a tissue and serve with lemon wedges. we need to organise a sunday outing for a fishy lunch!! Heyyyyyyyyyy i remember making those for you!! As a side note if you want to spice it up a bit, with the flour mix you can add a little cayenne- works wonders!!! I was SURE you put something else in. Did you use semolina though, or flour?